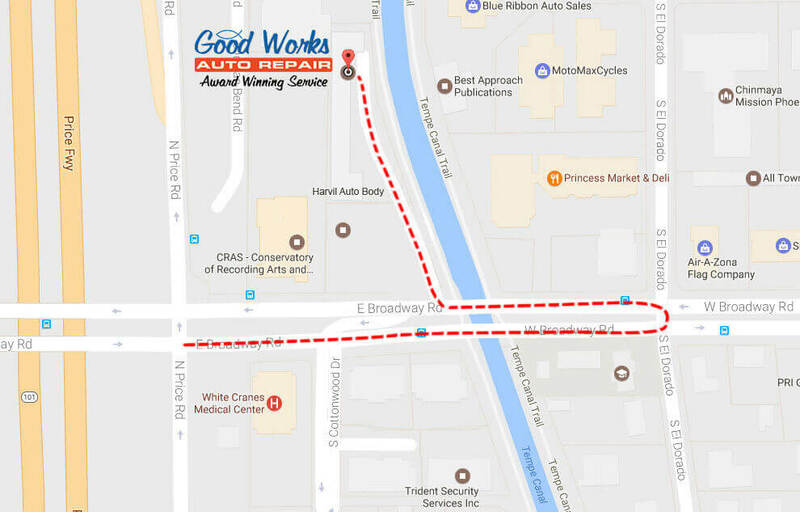 Interested in reviewing your recent Good Works experience? Leave a review for Good Works on your favorite review site. You provided a rental car at your expense, work was done on time, I feel that I can trust your business. Every detail is explained to me without patronizing. Friendly service, honest and good work done, you use quality parts, my truck rides better than when I got it, must have been bad for sometime. My repair ended up taking less time than originally quoted, and the level of customer service was excellent! The staff is very friendly and they were honest about what needed to be fixed. They were honest and fixed my most urgent needs for my car. They did what was most cost efficient for me, as I am a student. My car was not ready on time, and they provided me with a rental car so I could make my appointment later that day and covered the cost of the car. I enjoy the friendly service when you walk in, the quality of service from the guys, and the honesty of everyone there! I like how the staff is flexible and genuinely concerned about fixing their customer’s car correctly, and maintaining it for the future. I appreciated the time that Glen took to explain things to me, explain why things needed to be done and also the time to show me! It means alot when the mechanics can take the time to show you what is happening and also to take the time to show you. Yesterday (11/6/2009) I brought my truck in for a repair to the driver’s side window track. I was gratified that you were able to get me in on the same day and impressed with Glen’s ability to spot and correct the problem quickly. I have found a new auto repair shop. I’ll see you in the future. Thank you for the Starbucks gift card. We have never been treated so well by a car repair business. My husband and I appreciate the great work you have done on our vehicle. We also appreciate your honesty and fair prices. We will definitely continue to do business with you. – Kris & Lesley J. 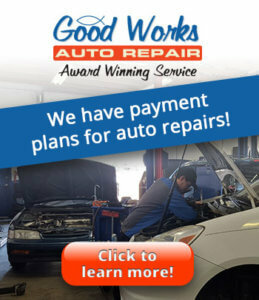 Good Works had my vehicle inspected, gave me advice, and saved me over $500. I believe he did right for the sake of doing right. Even though your company did not make any money on the transaction, I assure you that I will tell everyone in the world how wonderful your company is. Myself, my family and everyone I can convince will use Good Works from now on. We’ve been coming to your shop for about three years now and you never let us down. We continue to appreciate your high level of customer service and will continue to send our friends your way. Thanks again! I had a great experience. Everyone was professional and the work was completely beyond my satisfaction. THANKS! Thanks guys – always a pleasure. My compliments to the service tech. Outstanding service and performance. I’ll definitely return, as my car needs mechanical attention. I’ll also recommend the shop to friends. I have already recommended your shop to friends. I was impressed with the prompt attention and financial assistance. The brakes are working very well. Thank you. I appreciate the great work that you do. I especially appreciate knowing if I am going on an out of town trip, that my car has been examined meticulously. Last year, I was planning an out of town trip to Flagstaff; you discovered that my battery was about to expire. I was able to replace it before leaving. Thanks! I have already recommended you guys to another person! I am so glad I chose you! I would drive 100 miles for this kind of honest service! Their attitude, service and skill are beyond what I expected from an auto shop. I highly recommend them, they’re honest and fair! 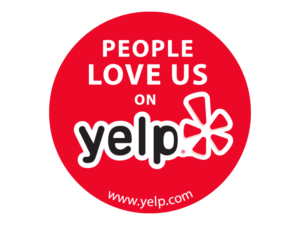 We are extremely pleased with all aspects of your service and highly recommend you. Thanks! I really appreciate your hard work and how you handled my car. Thank you!